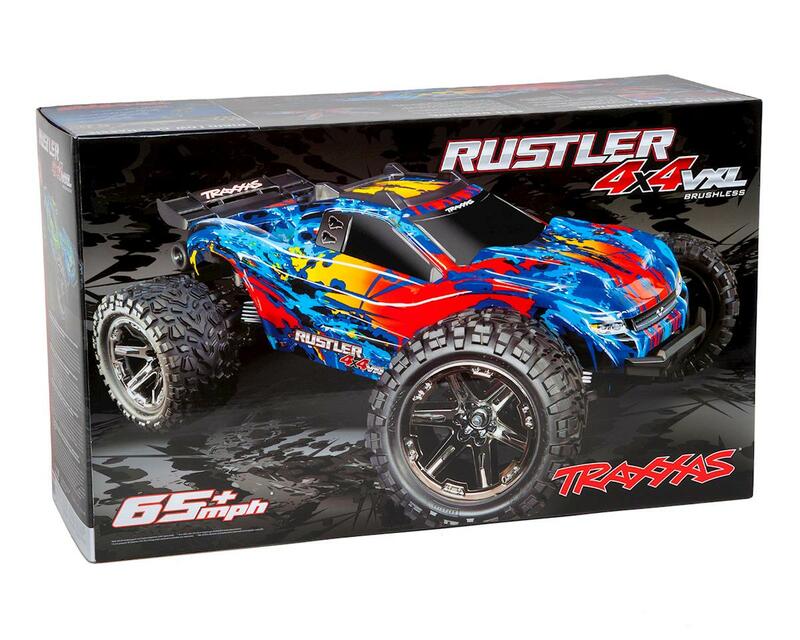 The Rustler 4X4 VXL is a hard-charging wheelie machine that captures the speed and classic style of the number-one-selling Rustler and injects it with brutal 4-wheel drive performance, increased durability, and even more fun! Bury the throttle and the Rustler 4X4 launches its front wheels skyward as it shreds the ground underneath. 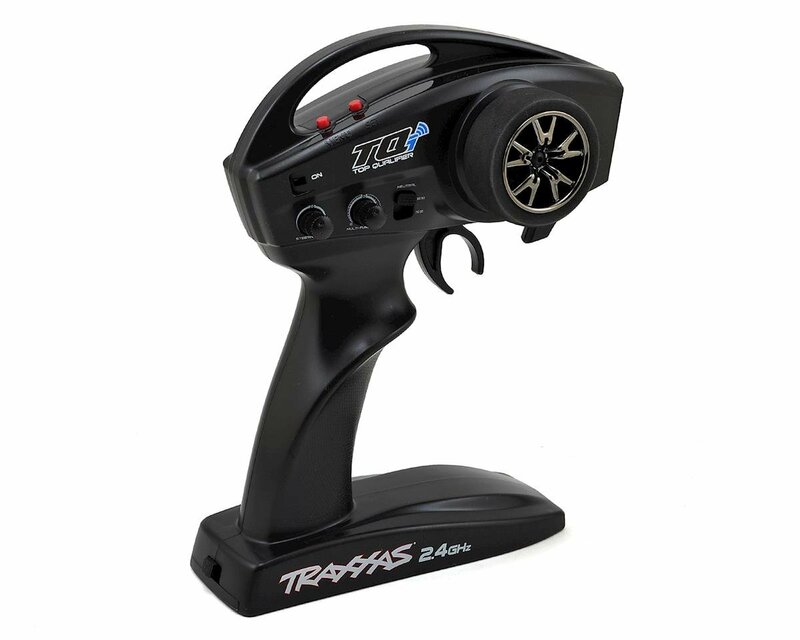 Beneath the sleek clipless body, the heavy duty driveline delivers extreme Velineon brushless horsepower. The larger Talon EXT wheels and tires provide versatility and grip for any terrain, from backyard trails to concrete skate parks. 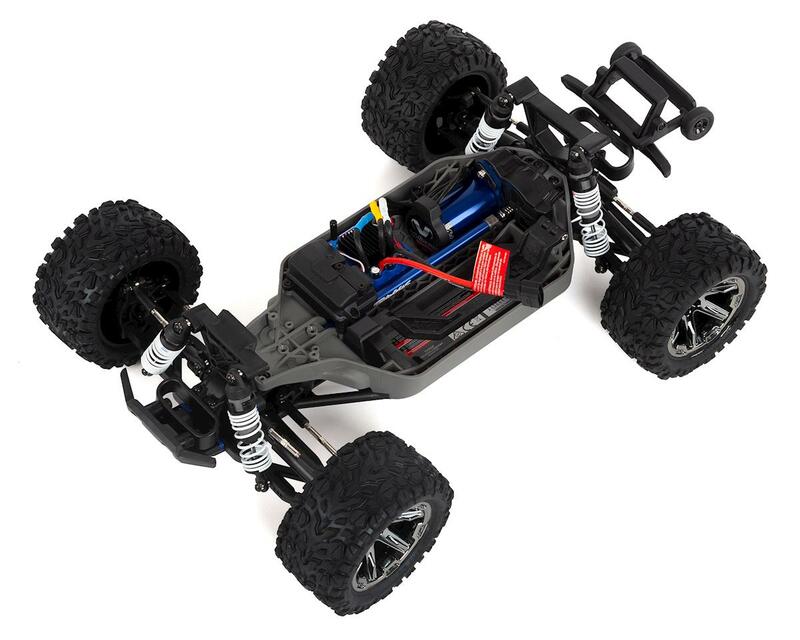 Rustler 4X4 VXL destroys convention to become the new performance and fun standard for 4x4 stadium trucks! 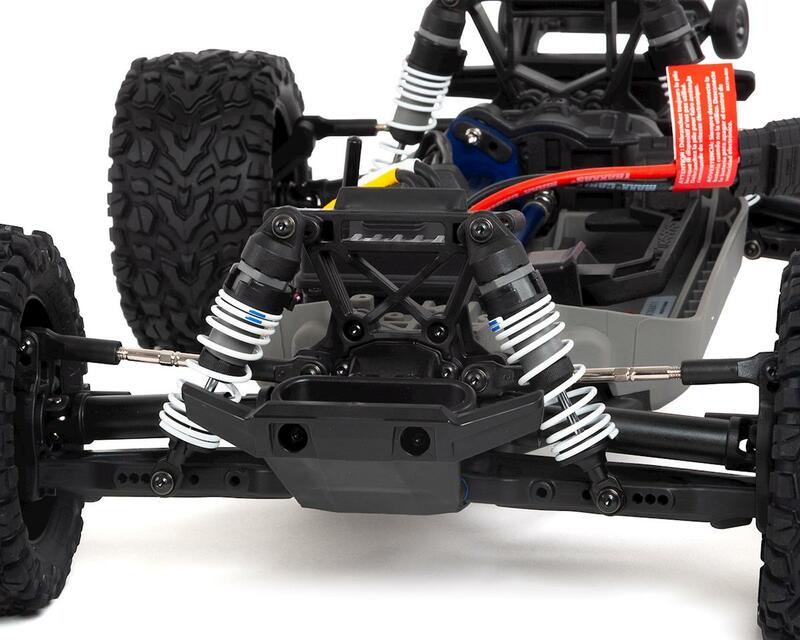 The low-CG chassis positions the weight low for aggressive handling. 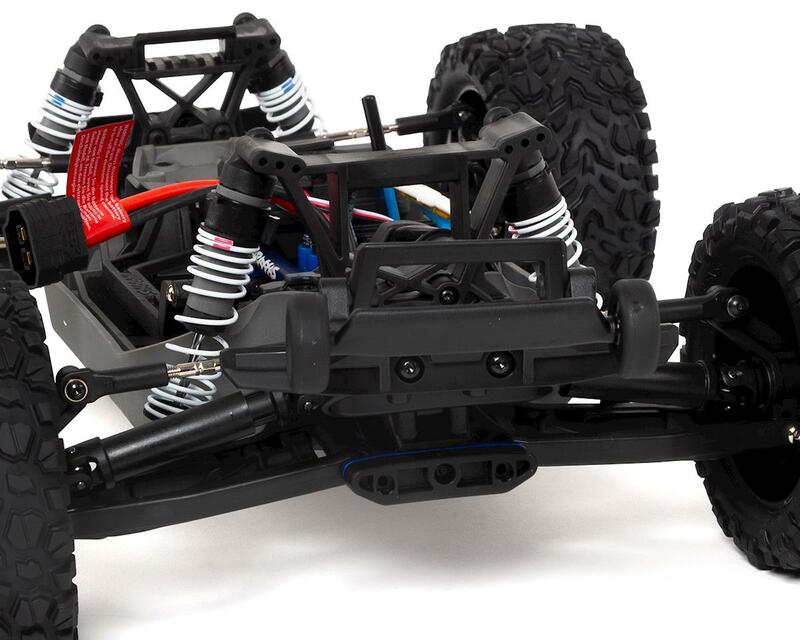 The wheelbase has been lengthened 20mm for the perfect balance of stability and quick response. 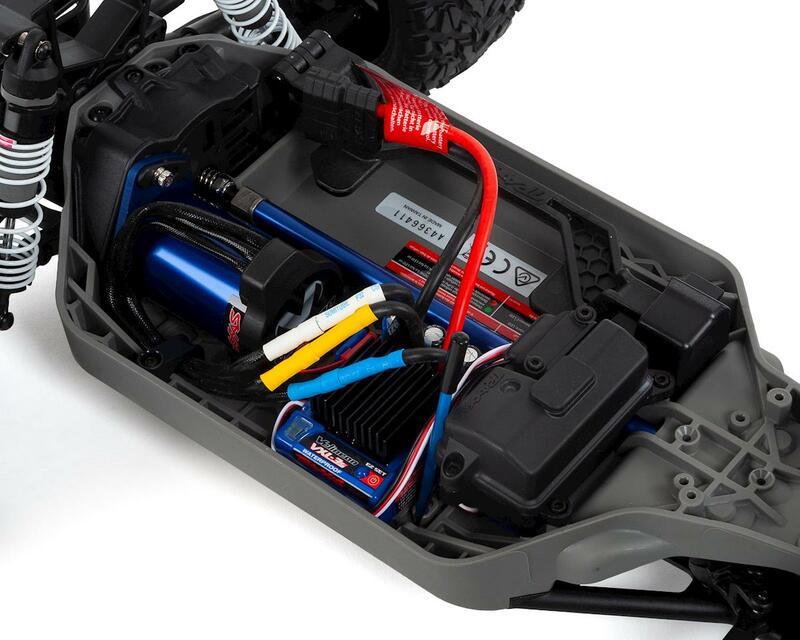 Brushless Velineon power flows through a larger Revo®-Spec slipper clutch and new extreme heavy-duty driveshafts to ensure performance and strength. 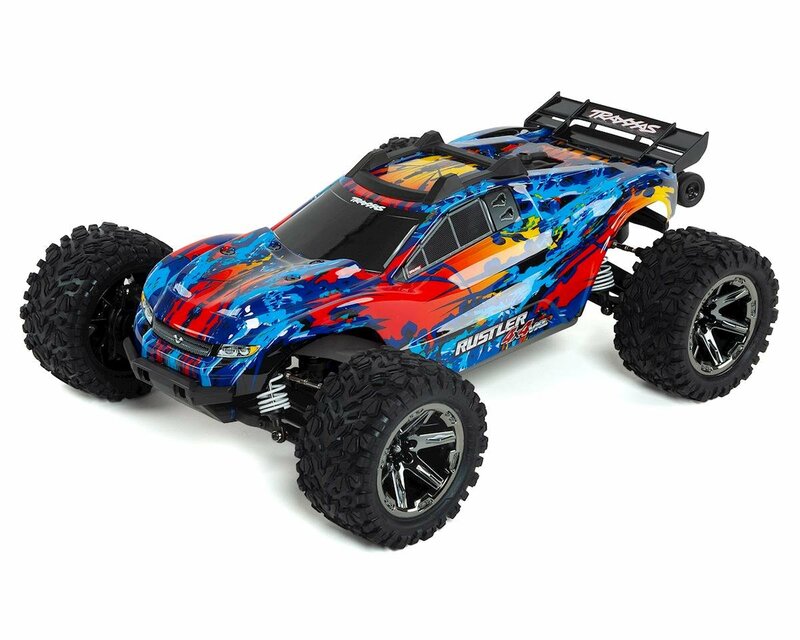 This is by far the best vxl model super fast, durable, and by far the best looking.